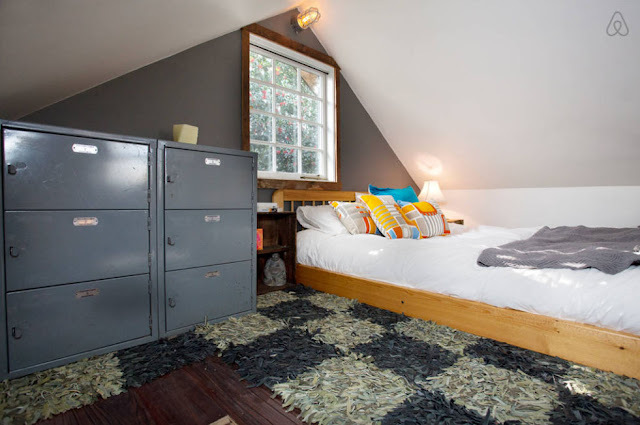 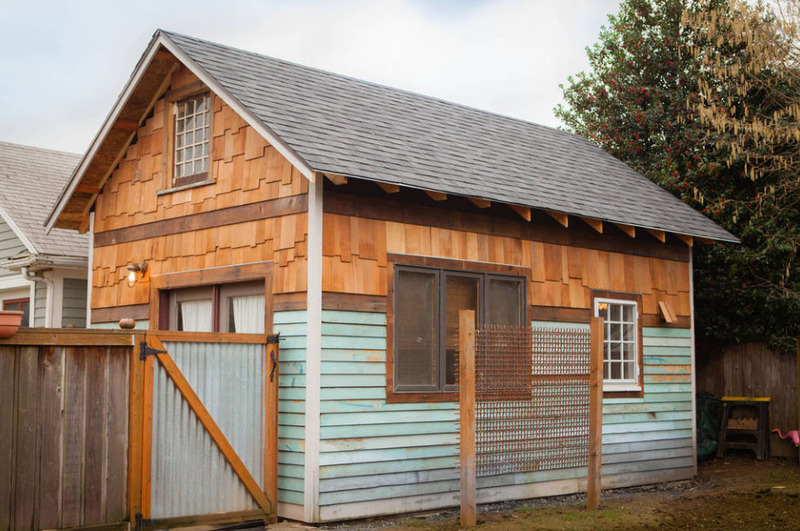 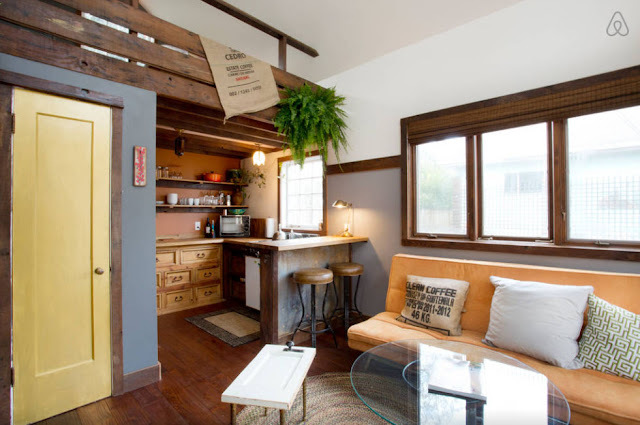 This 350 square foot tiny house in Portland, Oregon, has been featured on the tiny house show Tiny House Nation, CNN, and the New York Post. 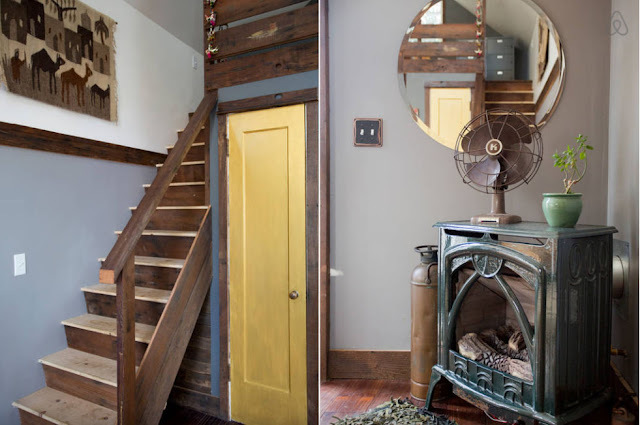 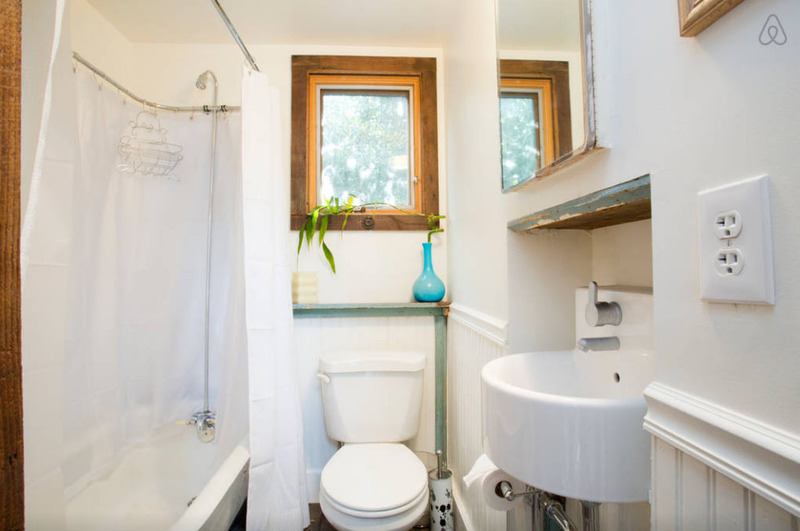 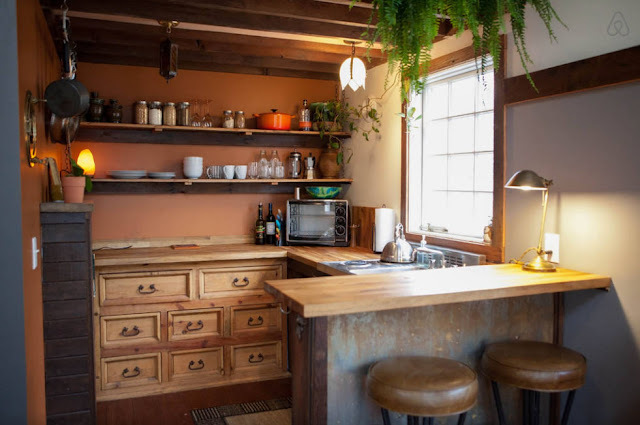 Built by its owners, Michael and Jenna, this rustic tiny house is currently available as a rental on Airbnb. 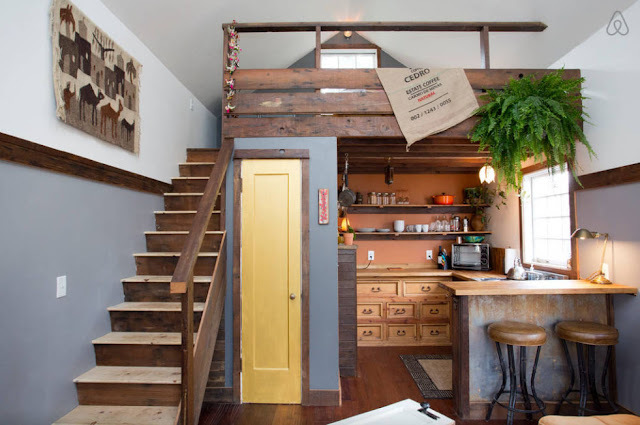 The home featured a kitchen, living room with Murphy bed, a bathroom with a small claw-foot tub, and a loft bedroom with a queen sized bed.